It was the first time for months it was hot in bed, sometimes i wonder what is better, being cosy on a cold night or over hot on a balmy night. Out here the latter would be my choice. On the road at 0900, it followed the Rio Grande valley. A huge riverbed with little water but a huge width of gravel, water must power through here in the wet season. For at least 50km it was all gently downhill. I was powering ,50km on the clock by 1130. Riding was a pleasure in fingerless gloves, sandals, shorts and a tee shirt. Reaching San Salvador De Jujuy, no stop was made just staying on Ruta 9 south. At the turnoff to El Carmen, lunch was enjoyed in the park at a bench under a tree. It was great, sardines in fresh bread were enjoyed and two great coffees, 70km was on the clock. Further on stopping for half an hour a couple of ice creams were enjoyed as was a browse through a fishing shop. Fresh water fishing is big here with a couple of big Lagunas close by. From here the road got thinner but was for cars only, not trucks. It was so much like riding in the Dordogne in France. 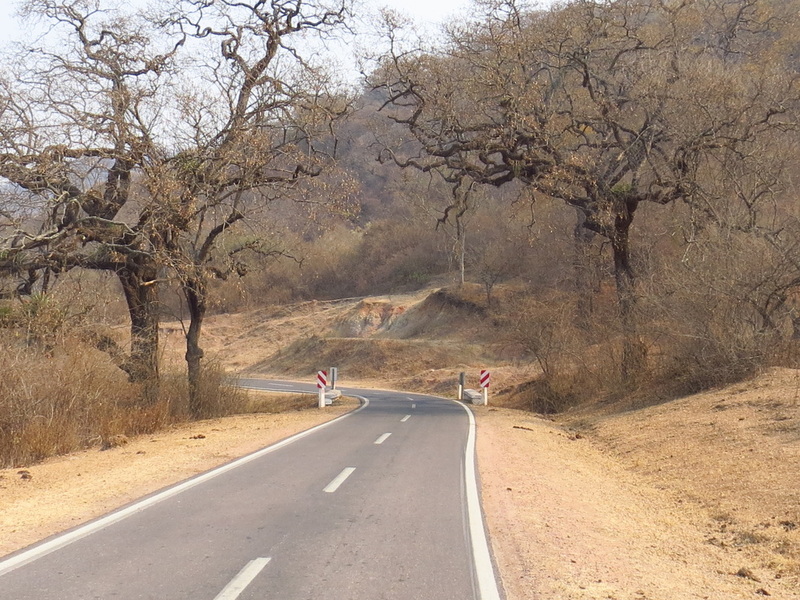 The land was covered in deciduous trees with the narrow road winding slowly up into the ranges. It was such a close comy environment compared to the vast openness of the last week. I would not at all have been surprised had Robin and the friar sauntered onto the road, or Little John was seen to be cutting a staff from a roadside tree. It was that kind of forest and passage. Riding uphill for a few hours was so relaxing in this environment, after the climb out of San Pedro this was a ride in the park. 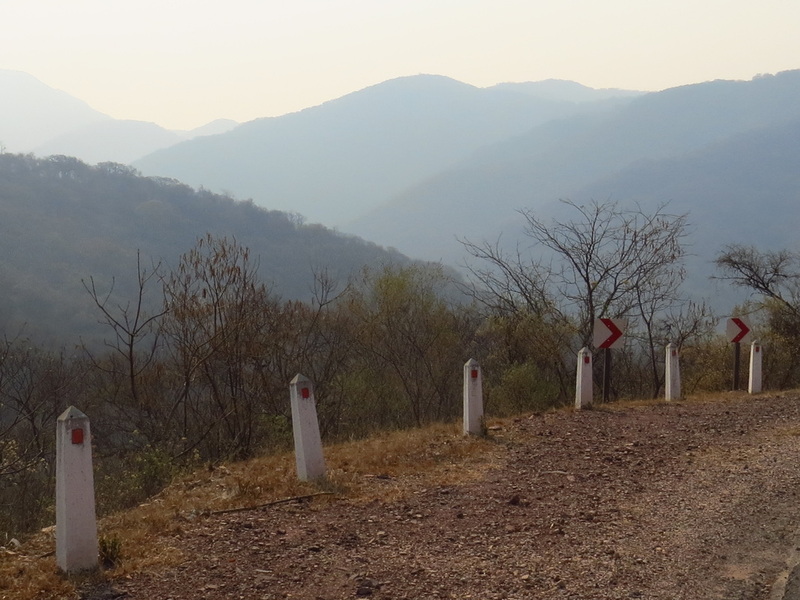 Reaching the top, it was possible to make it to Salta before dark. 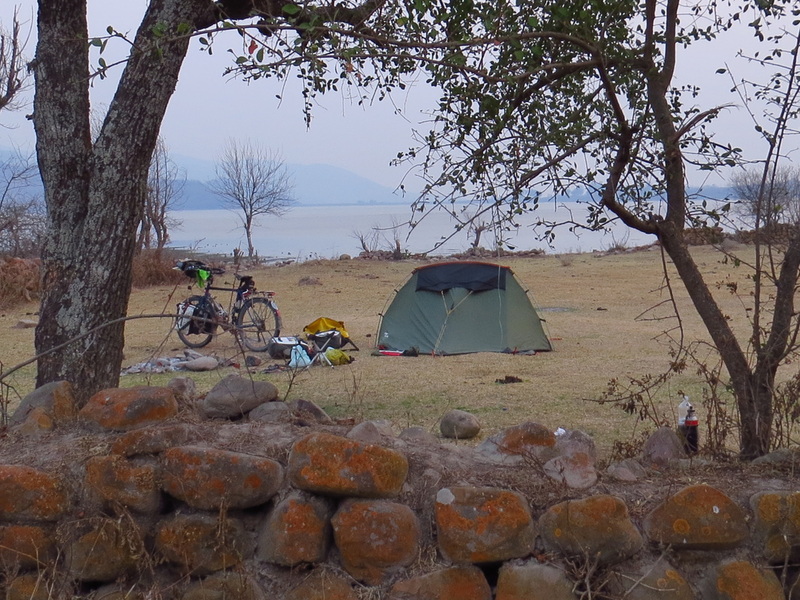 Anyway riding on a large lake was spotted to my left, there was a kind of camping area there. Pulling in, a better spot to camp would be hard to find. There was no point arriving in Salta late. I needed some water so went to ask a few people who were fishing and hanging about, the first couple gave me a pear drink. Down at the were a bunch of young people wandering down with my empty, they gave me some water. They also gave me a fair bit of coke and????. We talked for sometime. The young girls were ultra attractive. One was from Buenos Aires visiting her boyfriend. They were good fun. I wandered back to my camp knowing I’d had a few drinks. The temp was so mild about 27 degrees, I am typing this in the dark outside with only a tee shirt on. My longs are on due to small sand flies. With the warm temps come the pests, up in the Andes that was one thing absent. 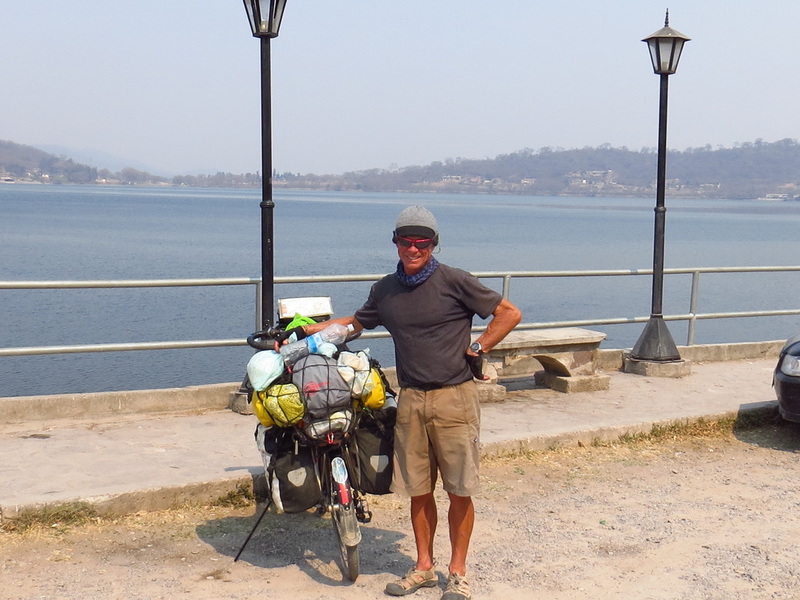 Dinner was salami in bread, Salta is about half an hour away around the lake. The day was unusually hot and hazy.